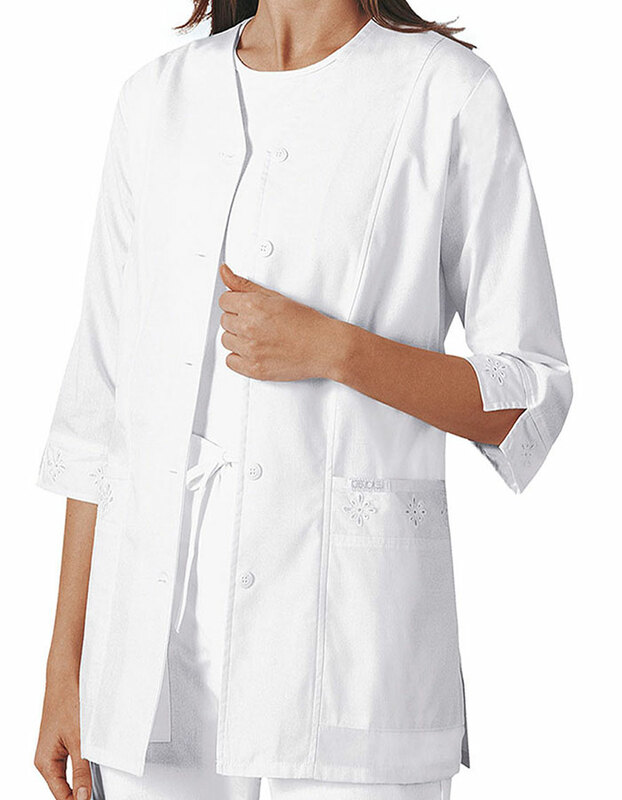 This is a must-have lab jacket for women in a quarter sleeves and five-button front for closure purposes. A women scrub jacket with cutout eyelet embroidery on the sleeve bands and pockets gives a very feminine look. The princess seaming and center back tie for shaping. There are two patch pockets for keeping your small items and the side vents for ease of movement. 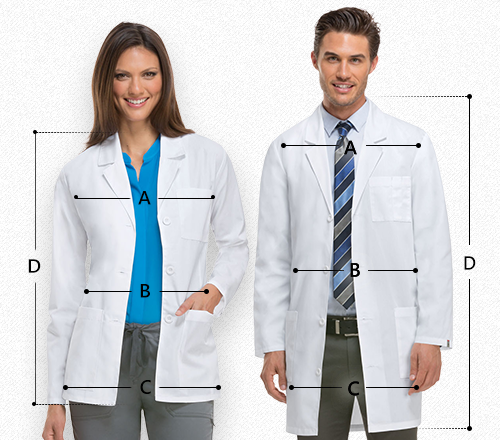 The length of this lab coat is 29.5 inches and fabric consists with cotton/poly with soil release properties.